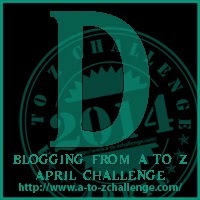 Posted on 04/04/2014 by the curtain raiser •	This entry was posted in A to Z April Blogging Challenge and tagged #atozchallenge, a to z blogging challenge, blogging, blogging challene, dancing, fighting perfectionism, perferctionsim. Bookmark the permalink. Sometimes, I dance a Viennese waltz alone in my living room; can you blame me? I have grown up with Johann Strauss and his musical cohorts. Great uplifting blog. Must mark it so I can join in your quadrille. This is one of my favorite songs – i have it on a Madelaine Peyroux CD and play it often! There you are!!! I had to search for this comment…especially since it’s FRIED FRIDAY and I’m really done! Today is my last day on my job and I just can’t set my watch up fast enough to the end of the day. Posted a watercolour entitled Dance Me…inspired by Mr. Cohen…he accompanies me on my early morning east/west side river walk. Thank you for your lovely comment…R. Retiring? New job? New adventure? I so look forward to being a regular visitor; the artists I’ve met through the blogosphere make me feel like I’ve got my own art museum. It is incredibly invigorating! 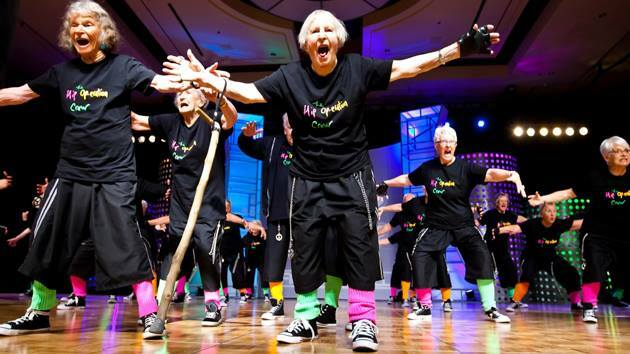 Dancing is a perfect way to release your inner soul, shake out the cobwebs and express your personality. I love to dance, and hope you have a lot of fun at the festival. I am enjoying a line dancing class at the senior center, and am the youngest in the class. Most are in their 80’s and George is 90. I can tell that many of them are reliving memories of dances with loved ones, now deceased, and many obviouly were superb foxatrotters and cha-cha’ers in their day. “do not kick and caper about … dance only from the hips downward” Too funny. All power to the oldies. You’re right about striving for perfection. I was raised with an emphasis on competitiveness which effectively prevented me from enjoying dance and many other activities in life. Unfortunately I have found it very difficult to modify these behaviours which were instilled into me at a young age. I hope you dance at the festival. 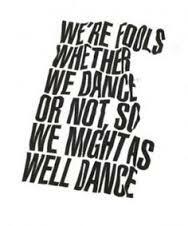 Good or bad, just dance. Love that quote there at the end! I do miss the days of dancing and not caring that I didn’t really know how.